A detailed and comprehensive overanalysis of “Call My Maybe” by Carly Rae Jepsen. In December of 2011, like various perfumes and nail polish before her, Jepsen received an official endorsement from fellow Canadian and all-around-super-mega-teen-idol, Justin Bieber. Riding the wake of this invaluable press, “Call Me Maybe” was number one with a bullet in Canada by February. By March, being the resident music buff in my circle of friends, word of “Call Me Maybe” had made its way to my inbox (multiple times). It was being hailed as “the new perfect pop song.” That's high praise. Nevertheless, sometime in early March, I listened to "Call Me Maybe” for the first time. I then proceeded to listen to it a second, third, fourth, and fifth time. That same day, I wrote a nearly 4,000 word first draft of this very article. However, I couldn’t finish it. I needed to ruminate on the song a little more. I mean, it was clear to me at that point that “Call Me Maybe” was not living on the hype alone; but that was no longer the question I was interested in. 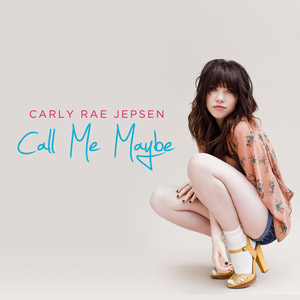 The one question on my mind was whether “Call Me Maybe” was truly the next perfect pop song? The most difficult quality for a perfect pop song to obtain is that of "catchiness.” There is no definition of what that word means, but if you’ve ever heard music before then you understand what I’m talking about. Every perfect pop song is catchy one way or another, but not every catchy song is perfect. In fact, many otherwise decent pop songs suffer from being too catchy. To be considered a perfect pop song, a delicate balance must be struck on the spectrum of catchiness. This concept is best illustrated by example. Time proved me correct. That song tastes too sweet. It’s only good in moderation. Take a trip back to your more formative years for a moment and let’s talk about cereal, namely Waffle Crisp and Cinnamon Toast Crunch - two breakfast foods uniquely inspired by other breakfast foods. Do you remember the feeling you get after opening a box of delicious Waffle Crisp cereal and then accidentally eat the whole thing in one sitting? What you considered to be Earth’s most delicious food just moments earlier is now nothing more to you than a toxic box of sugar and a future bellyache. I hypothesize that this is why General Mills packages Cinnamon Toast Crunch in such a tiny box - so consumers can never overindulge that much in one sitting, thereby never wanting to see Cinnamon Toast Crunch again, let alone buy it and eat it. To this day, Cinnamon Toast Crunch seems to be the more popular cereal. [NOTE: Waffle Crisp is a product of Post.] The same idea applies to your hearbuds (once again, your "sonic taste buds"). Apologies for referencing college-level economics twice in one sitting, but the problem with these types of songs (ones that are too catchy), is that they have an easily attainable point of diminishing returns. That means a person does not have to listen to the song very many times before he or she stops deriving enjoyment from it. People who love “Call Me Maybe” have a bad habit of calling it “the catchiest song of all time” or “the catchiest song I’ve ever heard.” That is a mistake. First of all, as established above, being “the catchiest song of all time” is not necessarily a good thing. And second, the title of “catchiest song of all time” belongs to “Don’t Worry, Be Happy” by Bobby McFerrin—a song so catchy it became too sickening for him to keep playing. NOTE: After having “Call Me Maybe” stuck in my head continuously for all of last week, I serendipitously walked by a bar playing “Don’t Worry, Be Happy” and it instantly replaced “Call Me Maybe” in my head. As far as I’m concerned, those facts are good enough to at least prove that “Don’t Worry, Be Happy” is catchier than “Call Me Maybe”. There’s no way to measure how catchy a song is or should be. Drawing inspiration from the epic poet Homer, when you listen to a song, you want to essentially ask: “Is it crispy? But not too crispy?” This is the crowning achievement of “Call Me Maybe”; it is very catchy, but not too catchy. If this song were porridge, it would be just right. Regardless of whether or not we have a perfect song on our hands, we most definitely have a perfect storm. You may have not realized it because of this spring’s exceptionally nice weather, but summer officially arrived last week. Now, although not every summer consists of a fantastic voyage with waterfalls and beautiful girls, each summer is guaranteed to have a select group of songs that define it; past examples of which include “Fantastic Voyage” by Coolio, “Waterfalls” by TLC, and “Beautiful Girls” by Sean Kingston. Every summer, one of these songs rises above the rest to become the Song Of Summer (SOS). Also, don’t expect “Call Me Maybe” to run out of steam in September. This song has true staying power. Jepsen’s obviously going to be playing this song for years to come; but the beauty of it is how easy it will be to turn it into a ballad. I think it’s not that hard to picture because the strings are already there, but imagine what the “Unplugged” version of this song sounds like: All of a sudden the song is pushing five minutes in length and Jepsen’s being backed by (at least) a string quartet. By no means am I comparing these songs at face value, but think about what Springsteen did, stylistically, with “Thunder Road”. She hasn’t lost an ounce of that charm, either. There are no bells, whistles, or dance moves. There is no “cool” factor. There’s just a smiling girl singing a very addicting song. Have you seen her perform “Call Me Maybe” live? She’s having more fun than everyone who’s singing along (and everyone is singing along). Or how about this performance she did with Jimmy Fallon and The Roots using nothing but toy instruments? I’d regret not using this opportunity to plug Toys And Tiny Instruments, a band from Brooklyn named after the objects they use to make music. Their music is very fun and high energy. Check them out right here. For starters, I recommend the song “Lottery Ticket”. So, Brian May was right, she is irresistible - gunpowder, gelatine, dynamite with a laser beam, guaranteed to blow your mind, anytime. What type of girl would respond to a tweet from Bieber like this? Everybody loves her - boys and girls, moms and dads, grandmas and grandpas. Trying to hate Carly Rae Jepsen is like trying to hate Jack McBrayer - it’s not possible. “Call Me Maybe” played at a wedding that I recently attended (per my request) and not only did it tear the roof off the reception hall, but it flooded the dance floor with boys and girls, moms and dads, and grandmas and grandpas. All of the people knew all of the words. The fact that there’s been no backlash against “Call Me Maybe” either means that its so insignificant that nobody cares enough to complain about it, or its so good people can’t find anything to really complain about. Since a song as pervasive and popular as “Call Me Maybe” is right now cannot possibly be considered insignificant, I guess it’s just that good. Notice that “Call Me Maybe” begins with a four-second staccato violin introduction. If you’re wondering why the four most bland seconds of the song are so special, you already know… just maybe not consciously. When you’re listening to “Call Me Maybe” on your iPod or computer at home, these four seconds are inconsequential; but in the right setting, they serve a very specific and very important purpose. They amount to, what I like to call FOT, or freak-out time. The scenario usually plays out like this: You’re out at a bar, club, wedding reception, or some other event that necessitates a DJ. Alcohol is usually involved. Like most, you only want to hear the songs you love. Had you control of the turntables and any idea of how to use them, you’d be “pumpin’ your jam” all night. But alas, the DJ is not taking requests and he knows better than to play the big hits all night. Not only would that be hack, but he would lose the crowd (there is an art to song selection). But don’t worry! Every now and then, when you really need it, he’ll hit you with the great stuff. Just enough of it to keep you going. You just don’t know when it’s coming… which is part of the fun. So now it’s getting to close to the end of the night. You were in a groove, but your friends are getting tired and the song currently playing, something by some post-chillwave blogbuzz band out of Brooklyn, isn’t helping. Then, out of thin air, you hear the auspicious plucking of a synthesized violin. This. Is. Your. Jam. Finally! The point is that people tend to freak out when they hear songs that they really love. Sometimes we’re fortunate enough to be given a few seconds to prepare for these songs. For instance, Kelly Clarkson’s “Since U Been Gone” also allots four seconds of FOT - just enough time to gather your girls. NSYNC’s “Bye Bye Bye” allots seven seconds of FOT before the song kicks into gear, which happens to be just enough time for everyone to free up a hand so they can pantomime the waving-goodbye-dance-move NSYNC does in the music video. The Backstreet Boys give us an even more generous nine seconds of FOT before “I Want It That Way” really hits; but the extra FOT is warranted so that everyone can link enough arms for proper swaying. The kicker is that those words spoken during this alleged FOT are evidence of R. Kelly’s inattentiveness as to the need for FOT. He was only going to break us off with a preview of the remix, but then the song was so great he couldn’t help but give us the entire thing anyway. NOTE: If that is only a preview of the remix, I speak for us all when I say that we’d love to hear the entire song. On a related note, thanks to IFC, R. Kelly is resurrecting his infamous Trapped in the Closet series. By this point, on the spectrum of pop songs, I think it’s sufficiently clear that I find “Call Me Maybe” to be a bona fide great one. (Canada. Gretzky. Shoots. Scores!) But now, it’s time to get into the grey area. When asked whether or not this was the perfect pop song, I answered “maybe.” Well, I wasn’t just being poetic. The answer essentially turns on how you view two specific issues: the synthesized violin, and a lyrical gaffe. I am torn when it comes to this part of the song. The violin track on this record could have easily been any other instrument, and I mean that in a mechanical sense as much as an aesthetic one. Did you ever fool around on an old Casio keyboard (or GarageBand on your MacBook)? Remember how easy it was to hit a button and change what instrument the keyboard sounded like? The same idea applies here. The violin could have been power chords on an electric guitar, a horn section, a piano, a pennywhistle, a synth… anything. Even hand claps. (Shivers!) I’m sure they tried every instrumentations on the hard drive, too; yet, when it was time to mix the master, the violin won. I’ve heard multiple people say that the violin makes the song sound urgent or important. There is probably some truth to that, but regardless of what feeling the violin evokes, what’s really important is that it makes the song pop, and frankly, pop songs need to pop. However, the synthesized violin is also a little gimmicky and gimmicky instrumentation is rarely the best way go (re: “Dancing In The Dark” by Bruce Springsteen - a fantastically written song that remains overshadowed to this day by the gaudy synth riffs featured on the track). If there’s one ingredient in here that is going to someday make listening to “Call Me Maybe” a sickening endeavor, it’s the synthesized violin. The song is good enough on its own. It doesn’t need a gimmicky synthesized violin on it, and there’s a lot of gimmicky synthesized violin on it. In fact, aside from some quiet, inoffensive electric guitar and a dance drum loop, it’s the only instrument on the track. Opponents may cite “Come On Eileen” by Dexy’s Midnight Runners as a violin-heavy pop song that has withstood the test of time. I would agree, but the difference is that “Come On Eileen” features live strings and, generally speaking, more instruments, including piano, bass, and banjo, which provide for a more rounded-out sound. The strings are not only used more cohesively in “Come On Eileen” than in “Call Me Maybe”, but they’re also not relied upon as heavily. Melody Lau of RollingStone called “Call Me Maybe” a “sugary dance-pop tune (think Taylor Swift meets Robyn).” I think that might be an accurate description, but that’s not necessarily helping the cohesiveness of the song. And I’m not necessarily crazy about hearing what it sounds like when Taylor Swift meets Robyn. Regardless, it’s hard to imagine either of those ladies bringing a synthesized violin to the party anyway (they’d too busy trying on platform shoes and making fortune tellers out of loose leaf paper). On the bright side, it’s been four months since I first heard “Call Me Maybe”, and I am still not sick of the violin track. I originally had a much more skeptical view of the violin, but the fact that the track still holds up after four months has appeased some of my skepticism. Apparently the song is also very mashupable, which will help preserve freshness and reduce excessive auditory exposure to the violin. (For starters on the mashups, see “Semi Charmed Call” by Chambaland, “Call Me On Broken Glass” by Rostam Batmanglij of Vampire Weekend, and over 500 search results on SoundCloud.) At this time, I am unprepared to call the song imperfect on account of the violin; but that doesn’t mean we won’t look back on “Call Me Maybe” in 10 years and say, “ew!” Or maybe it won’t sound so bad in comparison to all the autotune. The lyrics of “Call Me Maybe” are great for many reasons. Take the opening line for instance: “I threw a wish in the well / Don’t ask me, I’ll never tell.” It sets the half-shy/half-excited tone of the rest song. It’s also a nice twist on the expected (this same trick is also used in the chorus, as we’ll see). Instead of literally singing about throwing a coin down the well to make a wish, she throws a “wish” down the well. She’s not going to tell you what the wish was because then it won’t come true, and she really wants it to come true. I obviously did not need to explain the meaning of those lyrics to you, but the fact that I can goes to show how bad and on-the-nose they lyrics could have been. The hook is great, too. “But here’s my number. So call me… maybe?” Just when you think she’s going to drop the ball and say “baby,” she doesn’t, and that makes all the difference. What that one word does in this song is truly amazing. Instead of making you say “bleghh,” it makes you go “awww.” Instead of making you wince, it makes you smile. If someone was raving about how great this new song “Call Me Baby” was, I think I’d be too off put by the song’s name to even press play. The song also contains this lyric: “Before you came into my life, I missed you so bad.” Call me nitpicky or what have you, but I see this as a blatantly illogical lyrical flub. It stuck out the first time I heard it. Read it again. It sounds okay, but it’s nonsensical. You can’t have some more of something you haven’t had yet and you can’t miss something you didn’t know existed before. Some people might argue that she’s using “poetic license” with this line. Despite the fact that the idea of poetic license is something I generally have a problem with, doesn’t the artist have to earn the right to use that license by proving her artistic merit over time through a rich body of work? It seems like the lyric is supposed to evoke the same sentiment as this one from the song “Slow Show” by The National: “You know, I dreamed about you / For twenty-nine years before I saw you / … I missed you for twenty-nine years.” The difference is that the line in “Call Me Maybe” misses the mark. And if you miss with a line like that, you miss big. Do you see the difference or is it just me? Either way, I’m not just being a stickler for the fun of it (it’s not fun). In fact, I’m normally a proponent of nonsense. A wise man once said, “a little nonsense, now and then, is relished by the wisest men.” This is just not a proper time. And I’m not picking on this song alone - in fact, this isn’t even that grievous of an offense. The problem is that these types of nonsensical errors are currently an epidemic in popular music. It happens all the time and it bothers me each time I hear it. The worst part is that most of them could have been corrected very easily, so when they’re not, the songwriters come across as careless. And who wants to listen to an artist who doesn’t handle his or her work with care? Let that one sink in. It sounds okay, but it’s nonsensical. Gwen Stefani is the lead singer of a band called No Doubt. Wayne is trying to say that you cannot doubt his talent. The phrase “no doubt” means exactly that - “I do not doubt whatever it is you are proclaiming.” If Gwen Stefani named her band I Doubt Everything Anybody Tells Me And I’m Very Stubborn About It, this lyric would make sense. As it stands, it’s the equivalent of bragging that you hit the Sprite button on a soda vending machine and a Sprite came out. Read it again. It sounds right, but it’s nonsensical. The worst part about this mistake, and what makes it so egregious, is that it has such an easy fix. The lyrics could be “that dreams are made of” or “where dreams are made up.” Either would suffice. One word. Let’s count all the culpable parties here. According to Wikipedia, the original song was written by Angela Hunte and Jane’t Sewell-Ulepic, two unknown songwriters who submitted the song to Jay-Z. Normally, fault would fall on the original songwriters; however, Jay-Z had the sense of mind to throw out everything about the song except for the hook. Being that he was only taking less than 30 words from the original and was adopting the track as a love letter and anthem to his home, he should have had the sense of mind to grammatically correct it. The same thing goes for Alicia Keys, who must have sang the song many times before recording it, the producer Al Shux, and either of the other two credited writers of the song (Burt Keyes and Sylvia Robinson). Despite the rampancy in which these errors appear in popular music, there is a silver lining. They speak to just how great the rest of the song is. On paper, your high school English teacher would spill bloody red ink over errors like these; but within the confines of the song and the feeling the artist creates when performing it, they go unnoticed. Regardless of whether it is more difficult to write a perfect comedic film than a perfect pop song, Odenkirk’s words shed some light on how these pop songs work. They’re magic, but by way of misdirection (unintentional or otherwise) rather than slight of hand. And when something is that magical, people don’t need to be bothered with the logic of it all. Thus concludes this comprehensive, detailed, and overblown examination of “Call Me Maybe” by Carly Rae Jepsen. It has some good parts; and maybe it has some bad ones, too. So... is it a perfect pop song? The better question is: who cares? If an artist records a song that makes so many people so happy that they all rhetorically exclaim "could this possibly get any better!?" then does it even matter? No. The good things are still worth waiting for. And by the way, if you have been wondering this whole time what the last perfect pop song was, the answer is “Hey Ya!” by OutKast. But let’s save that for another time. Here’s a playlist of music either mentioned in or relevant to this article. This article was originally published on Halftime Hennessy by Joe Petro on June 25, 2012.